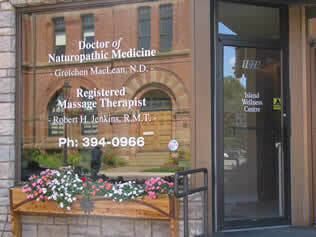 The Island Wellness Centre is a professional health care clinic that offers the services of Naturopathic Medicine and Massage Therapy. The Island Wellness Centre is committed to providing the highest quality health care to Islanders through safe, supportive natural therapies. Evening and weekends appointments may be made upon request. Appoinments can be made by calling us.